Though its a "virtual" profession, a work-at-home call center job can't be done from just anywhere. Most companies hire in only specific states. Some states have a lot home call center jobs, while others have few. 1800FLOWERS: This giant floral retailer regularly hires for remote call center jobs, but they are usually on a temporary basis for seasonal employment. ServicesAccolade Support Call Center : This outsourcing company hires contractors (not employees) to perform tech support and customer service for its clients. Jobs are paid on a per-minute basis at a maximum of $10 an hour but no minimum wage protection. American Express: This global financial services company hires remote call center agents who are experienced in reservation systems and travel agents nationwide. Bilingual agents are needed. Apple At-Home Advisors: The work-at-home call center program from Apple hires both college students and non-students. It is part of the company's AppleCare department. 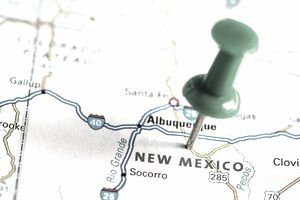 Students are recruited from the University of New Mexico. Jobs are often seasonal. ARO: You will find freelancing (or independent contractor) positions in customer service, sales and business telemarketing at this company. It also sometimes has openings for home-based jobs in insurance auditing and LPNs and RNs in medical call centers. Asurion (formerly NEW Corp): Warranty company uses remote call center agents to provide customer service for device replacement claims. Full and part-time positions are available. Convergys: Remote call center agents take incoming phone calls and provide customer service, sales or technical support. This company offers paid training and several benefits to agents, all of whom are employees. LiveOps: Independent contractors pay significant costs in time and money to work as remote call center agents in customer service. Agents are not paid hourly but at a rate that is based on minutes of talk time plus sales incentives in some cases. However, there is no minimum wage guaranteed. Agents must spend the time to become "certified" to work for individual clients, and this certification is not paid. Agents must also pay for their own background checks. Support.com: In addition to hiring home-based tech support chat and telephone agents, this company also hires remote supervisors who support and supervise these work-at-home services technicians. Sitel: The work-at-home program in this global BPO offers its call center employees professional training from home as well as a set schedule of hours which may be full or part-time. SYKES Home Powered by Alpine Access: Telecommuting employees take inbound customer service and sales calls. Pay is approximately $9 hourly, and training is paid. However, applicants must pay $45 for a background check before they can begin work. teleNetwork: Outsourcing call center hires work-at-home technicians to assist with Internet services, desktop support, and security issues as well as customer service reps.
TeleTech@Home: Global business process outsourcing (BPO) company hires associates In some U.S. states and the U.K. to work from home as call agents and other fields. Bilingual call center agents needed. Benefits include paid training and 401k. Pay is $9-10/hour. U-Haul: Agents in these work-at-home call center jobs provide customer service, make reservations and provide roadside assistance. Jobs may be seasonal, but they are employment positions.